Will a new cultural sensitivity to the experiences of all sexual abuse survivors sustain focus on the pain of clergy abuse after the outrage fades and those scandals are forgotten? Churches have been seen throughout history as places of comfort and refuge from life’s difficulties. And even though religion’s influence on society may be declining, many people still reach out to their churches for support in times of financial, physical, or emotional distress. But churches were not places of love and acceptance for untold numbers of children during the past several decades. Instead, these children experienced sexual abuse perpetrated by clergy or other trusted members of their faith communities. The horrors of clergy sexual abuse were once again brought to light during the summer of 2018 with the release of the Pennsylvania grand jury report. The report identified hundreds of priests accused of victimizing more than 1,000 children over several decades in six Roman Catholic dioceses. The report’s release ignited a firestorm of anger and renewed calls for justice for survivors. Officials in at least a dozen states are conducting or promising to conduct investigations of their own, and a federal investigation is underway. Outrage over clergy sexual abuse is not new. But the fresh crop of investigations, coupled with reform efforts such as the #MeToo movement, may finally signal a time of true reform and justice for survivors. 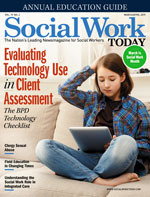 Social workers who may encounter survivors should understand the unique dynamics of clergy abuse and recognize the role that social work profession has in effecting change and helping survivors, churches, and communities heal. Determining the prevalence of child sexual abuse is difficult because many cases go unreported and different entities studying the problem define and measure abuse in different ways. It is estimated that 1 in 10 children will be sexually abused before they turn 18 (Townsend, 2013). About 90% of sexually abused children know their abuser, and about 60% of abused children are abused by someone their family trusts, such as a teacher, coach, or minister (Darkness to Light, 2015). It is even more difficult to ascertain how many cases of child sexual abuse are perpetrated in faith-based environments because these environments vary from small, independent congregations to massive organizations such as the Roman Catholic Church. One well-known study conducted by the John Jay College of Criminal Justice (2004) found that there were 4,392 Catholic priests in the United States with allegations of abuse between 1950 and 2002, about 4% of the total number of priests who served during that period. A study examining news reports of arrests for child sexual abuse in Protestant settings nationwide found 326 cases between 1999 and 2014 (Denney, Kerley, & Gross, 2018). Clergy sexual abuse is not a uniquely American issue, either. For example, the Catholic Church has been embroiled in controversy over its handling of abuse cases in Ireland, Australia, New Zealand, Canada, and numerous countries in Europe, Latin America, Africa, and Asia. In addition, much of the data about clergy abuse come from white survivors in English-speaking countries, and adequate attention is not paid to the experiences of survivors of color, says Brian J. Clites, PhD, associate director of the Baker-Nord Center for the Humanities and an instructor in the religious studies department at Case Western Reserve University in Cleveland. Clites has interviewed about 60 survivors of Catholic clergy sexual abuse as part of his research. Like many survivors of child sexual abuse, survivors of clergy abuse can experience numerous challenges throughout their lives due to the abuse, such as depression, suicidal ideation, suicide attempts, substance use disorders, and difficulties forming adult relationships. But survivors of abuse by clergy also can experience damage to their faith lives, says Mary Gail Frawley-O’Dea, PhD, executive director of Presbyterian Psychological Services in Charlotte, NC. “[Child abuse] survivors’ relationship with the divine is always upended with abuse, but it’s even more disruptive when a clergy member perpetrates the abuse,” says Frawley-O’Dea, who has worked with abuse survivors for more than 30 years. Many of the survivors Clites interviewed described their experiences as “soul murder.” To understand this concept, it’s important to consider how religious leaders are viewed in many congregations. These leaders are spiritual role models and, in some cases, are considered people through whom the divine acts. For some survivors, Clites says, their perception of the abuse as children was that they were being directly assaulted by God. In addition, perpetrators often will carry out abuse in ways that entangle the abuse with children’s faith lives. Many of the survivors Clites interviewed, for example, were abused in religious places such as sacristies or confessionals and/or asked to engage in religious activities such as reciting prayers while they were being abused. In some cases, religious objects such as crucifixes or holy water were used as part of the abuse. Given the horrific abuse they endured in faith-based environments, it would be natural to expect that the majority of survivors eventually turn away from the faith of their childhood. That is not necessarily the case. Frawley-O’Dea says the survivors she has worked with generally fall into four groups: 1) those who remain with the denomination in which the abuse took place, 2) those who leave their denomination and join another one, 3) those who retain a sense of spirituality but don’t want to be involved in organized religion, or 4) those who completely reject religion or any kind of spirituality. Clites says a majority of the survivors he interviewed continue to identify as Catholic, although their level of engagement with the church varies. Some survivors have even forgiven their abusers. Clites explains that as survivors grow into adults and perhaps receive counseling, they are able to separate the actions of their human abusers from the divine. “They see [the abuse] as a human sin rather than a divine judgment on them,” he says. The impact of clergy sexual abuse stretches far beyond those individuals who have been abused because it is abuse perpetrated in multisystemic contexts that also include families, congregations, and organizations. For example, the suffering of abused children may be intensified because the abuse is perpetrated by people whom the children’s families have taught them to trust, says Kimberly King, MS, a child-development educator and author based in Wilton, CT. Making the situation even more difficult, Clites adds, is that some families do not believe a child’s allegations of abuse or tell the child not to share them with anyone else. Even if a family believes a child’s allegation of abuse and brings it to the attention of a congregation, the response the family receives may add to their suffering. The congregation may side with the abuser or may become divided about whom to believe, says Robert Longley, author of The First Seven Days: A Parent’s Guide to Surviving Your Child’s Sexual Abuse. This division may be especially painful for families because churches are often a center of their social lives as well as their spiritual lives, Longley says. Allegations may strain or destroy a family’s long-standing relationships with other congregants. Guilt may play a role, as well. For example, Clites says, Catholics demanding more accountability from leadership in the wake of numerous abuse scandals may also find themselves looking more deeply at their own behavior and identifying cases in their own parishes when they suspected something wrong was going on but said nothing. “A lot of Catholics were more proximate to abuse than they would like to think about,” Clites says. From an organizational standpoint, abuse scandals threaten to accelerate the exodus of people from organized religion. A Pew Research Center report (2015, November 3) found that the proportion of American adults who identified themselves as religiously affiliated dropped from 83% in 2007 to 77% in 2014. Nearly 20% of American adults were raised in a religion and are now unaffiliated, according to Pew Research Center (2015, May 12), while only 4% of adults raised without religion are now affiliated. Even Americans who remain affiliated with religion are losing trust in their leadership. A Gallup poll conducted in December 2018 found that only 31% of U.S. Catholics rated the honesty and ethical standards of clergy as “high” or “very high,” down from 49% in 2017 (Brenan, 2019). Gallup reported that Protestants’ ratings of the clergy have also dropped since 2004. Religion is unlikely to disappear as a force in American life, but its composition is changing, says Melissa Wilde, PhD, an associate professor of sociology at the University of Pennsylvania and associate director for survey research at the university’s program for research on religion and urban civil society. For example, evangelical, socially conservative churches are growing as highly educated progressives step away from religion, Wilde says. Outrage over clergy abuse often grows in the wake of scandals, only to dissipate as those scandals are forgotten. It’s too early to tell whether history will repeat itself in the wake of new investigations into the Catholic Church’s handling of abuse allegations, but there are signs that things may be different this time around. “This could be a moment more open to survivors,” Clites says. Social workers have vital roles to play both in helping survivors of clergy abuse and preventing such abuse from occurring. Social workers must remember when they work with survivors abused in religious settings is that each church or denomination has its own culture, and it’s important to become competent about how that culture might have contributed to abuse or could be used to help survivors, says Jameson Mercier, PhD, LCSW, of Mercier Wellness & Consulting in Plantation, FL. Listening to survivors and providing a safe, trusting place to share their stories is especially important because it can be difficult for survivors to talk about their abuse, King says. It’s also good for social workers to self-reflect and consider whether they are best suited to work with survivors, seek supervision from more-experienced colleagues, and refer clients to other professionals as needed, Frawley-O’Dea says. Prevention is essential, as well. Social workers can work with parents and within their own faith communities to ensure that people recognize the problem of clergy abuse and know how to recognize and react to suspicions or allegations, King says. Brenan, M. (2019, January 11). U.S. Catholics’ faith in clergy is shaken. Retrieved from https://news.gallup.com/poll/245858/catholics-faith-clergy-shaken.aspx. Darkness to Light. (2015). Child sexual abuse statistics: Perpetrators. Retrieved from http://www.d2l.org/wp-content/uploads/2017/01/Statistics_2_Perpetrators.pdf. Denney, A. S., Kerley, K. R., & Gross, N. G. (2018). Child sexual abuse in Protestant Christian congregations: A descriptive analysis of offense and offender characteristics. Religions, 9(1), 2-14. John Jay College of Criminal Justice. (2004). The nature and scope of sexual abuse by Catholic priests and deacons in the United States 1950-2002. Retrieved from http://www.usccb.org/issues-and-action/child-and-youth-protection/upload/The-Nature-and-Scope-of-Sexual-Abuse-of-Minors-by-Catholic-Priests-and-Deacons-in-the-United-States-1950-2002.pdf. Pew Research Center. (2015, May 12). America’s changing religious landscape: Christians decline sharply as share of population; unaffiliated and other faiths continue to grow. Retrieved from http://www.pewforum.org/2015/05/12/americas-changing-religious-landscape/. Pew Research Center. (2015, November 3). U.S. becoming less religious: Modest drop in overall rates of belief and practice, but religiously affiliated Americans are as observant as before. Retrieved from http://www.pewforum.org/2015/11/03/u-s-public-becoming-less-religious/. Townsend, C. (2013). Estimating a child sexual abuse prevalence rate for practitioners: A review of child sexual abuse prevalence studies. Retrieved from https://www.d2l.org/wp-content/uploads/2017/02/PREVALENCE-RATE-WHITE-PAPER-D2L.pdf.